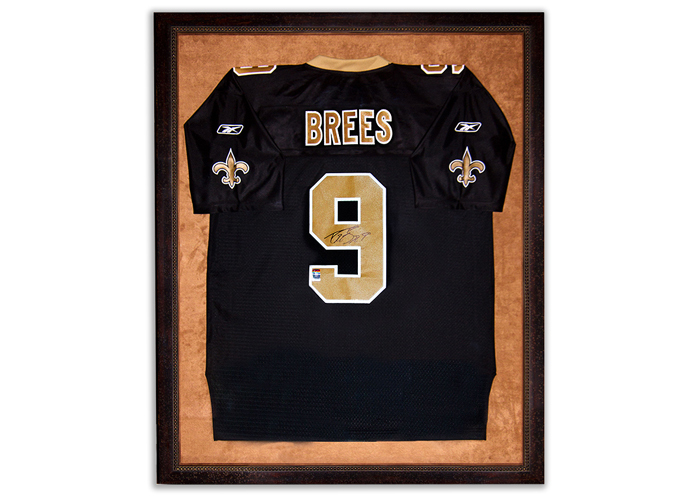 Do you have a signed sport jersey from your favorite team or sports memorabilia that you don’t know what to do with? We at FRAMECO can assist you to create that sports wall or man cave to show off all of your prized sport keepsakes. This framed jersey is stitched down on a complimentary suede mat that not only works with the jersey but in the room where it’s to hang.